10 year old Summer has a life-limiting condition, but doesn’t let that get in the way of her love of singing. 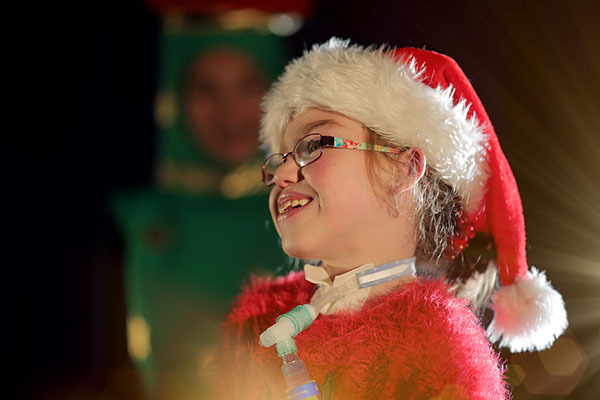 Thanks to our Hospice at Home service, she got to experience the #MagicOfChristmas by starring in her very own Christmas performance. 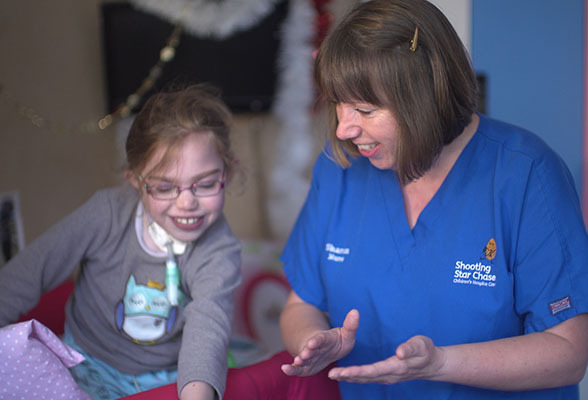 Summer, who’s been supported by Shooting Star Chase since she was just 18 months old, has a life-limiting condition which affects her heart and lungs. Her condition means she is fed via a gastrostomy tube and is on a ventilator at all times. Throughout the advert, the care routine she has to go through each day is juxtaposed with the magic of her fulfilling her dream to sing on stage. 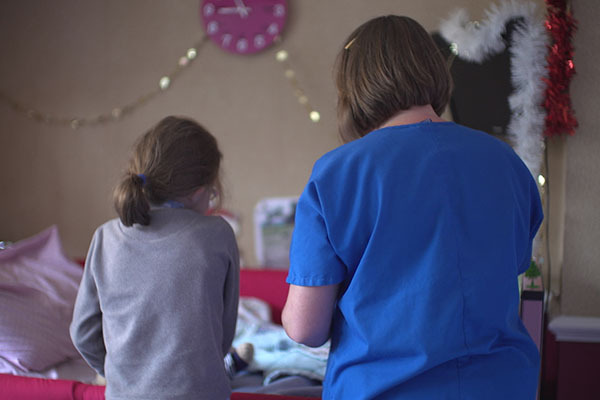 Whilst the main focus of the video is to remind people of the magic of Christmas, it also highlights how the charity’s vital Hospice at Home service helps supported children like Summer and their families. For some families, Hospice at Home care is as simple as helping parents get their child ready for a festive performance or school play, just like Summer, or making home-made Christmas cards. For others, Shooting Star Chase is there to support them through the darkest days by providing end-of-life care. This year, the charity’s Hospice at Home service has seen more children than ever needing end-of-life care and over the last six months alone, they have provided more than 500 hours of Hospice at Home care to families facing the unimaginable. The team supports families across Surrey and 15 London boroughs with practical and emotional support and nursing care to manage symptoms, and, in the coming weeks, will give many families the chance to spend the last Christmas they have with their child, at home. This is the second time a Shooting Star Chase supported family has featured in an alternative Christmas advert produced by Shape History. In 2017 the social change agency produced an advert, #FirstChristmas, which raised awareness of families facing their first Christmas without a loved one. Please share our #MagicOfChristmas campaign with your friends and family, and on Facebook and Twitter.